Ajay Sharma, 2015. Image courtesy of the artist. 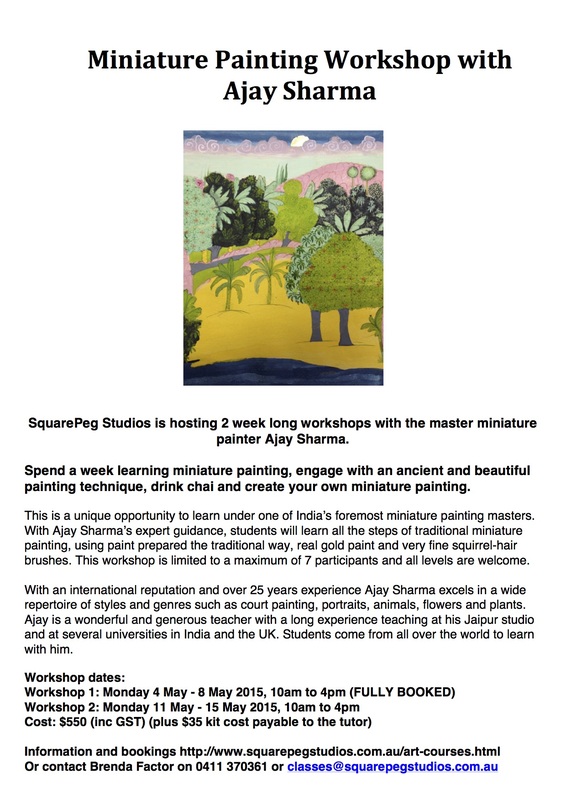 I am so very pleased to be invited to open this exhibition of the work of Ajay Sharma, this very gifted practitioner and innovator of the Mughal miniature painting tradition, and equally skilled teacher. Thank you so much to Sally Clarke, Brenda Factor and Ajay Sharma for this invitation. 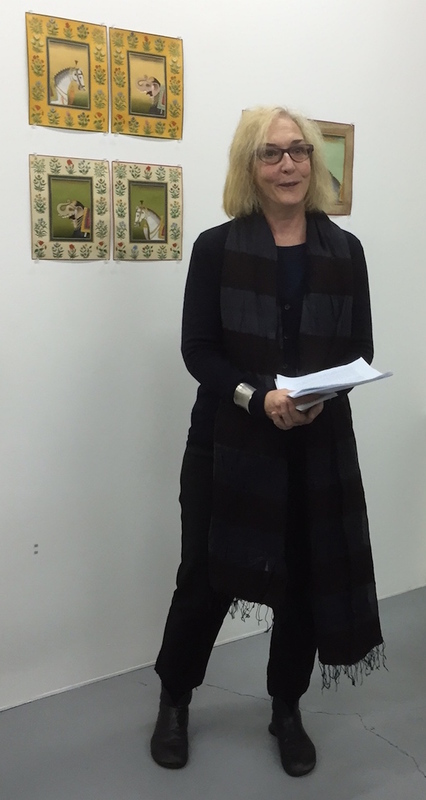 And many thanks to Francine Haywood who has facilitated Ajay Sharma’s visit to Sydney and exhibition of works at AirSpace Projects. 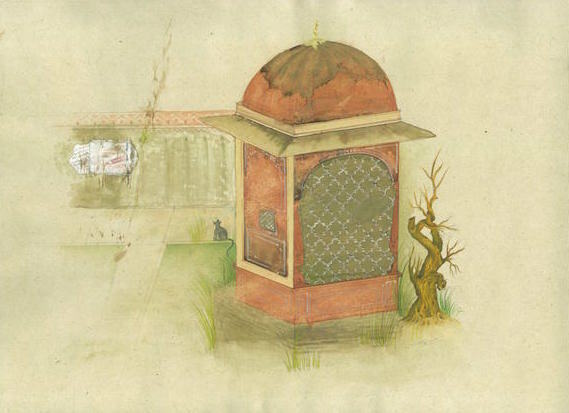 I have come to know the great revitalisation currently underway in the miniature painting tradition throughout the subcontinent and among the South Asian diaspora through my own postgraduate students who come from Afghanistan and Pakistan, and I was able to visit Lahore in Pakistan in the 1990’s. It is with particular delight that I am able to meet Mr. Sharma, one of India’s leading miniaturists and teachers who has himself been so responsible for the revitalisation of the miniature tradition from his studio, opened in 1984 in Jaipur. 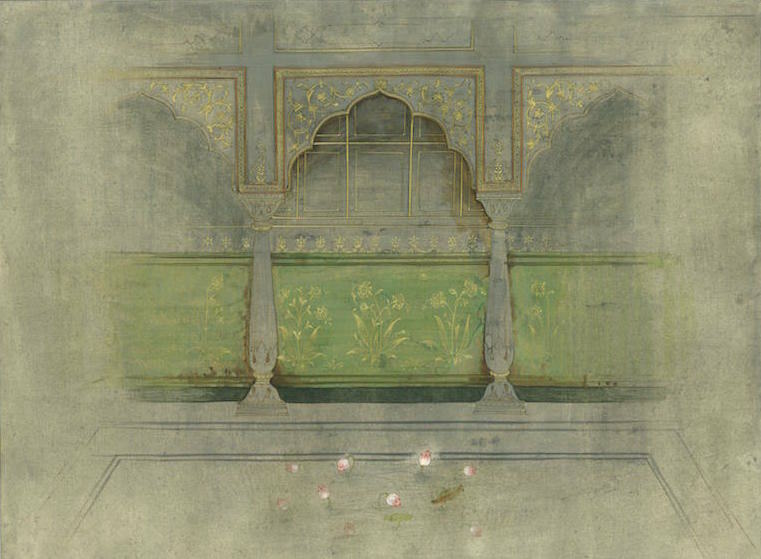 In his studio Mr. Sharma oversees all aspects of this particularly exacting tradition, from composition, to paint, paper and brush preparation. I was immediately drawn to this tradition in its artistic rigour and its continuing ability to depict and comment on the contemporary life in which it is based. 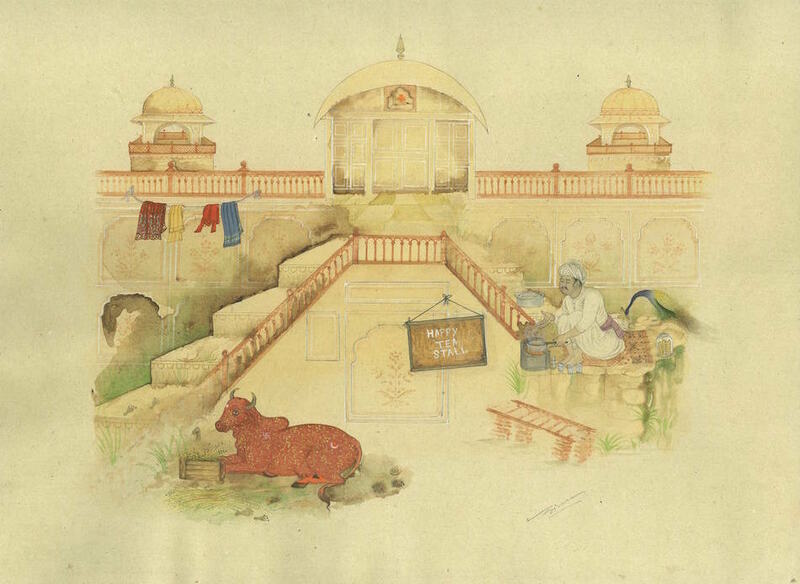 But I confronted a question that may resonate with you – how does one start to look at a painting from an ‘other’ place, and a tradition that has such an illustrious but complex lineage, Persian, Mughal, Rajput and yes, even British? A tradition that has links to music and to poetry and to religion? I knew that looking at a miniature painting, appreciating it, is not a simple task and some effort is required to enter the space of the painting. So how to begin? One must gather together one’s own necessarily fragmentary knowledge – and by knowledge I don’t mean information but rather the knowledge of eye and of heart, of sound, smell and touch – and take the first steps toward the work. You will be rewarded ten times over, if you take these steps. And we are very fortunate to have the works here in Sydney. Works that have been brought to us by the efforts of many individuals, but also because of modern transport and communication, which has drawn all of us closer together, for better and worse! But that modernity has come at a cost. 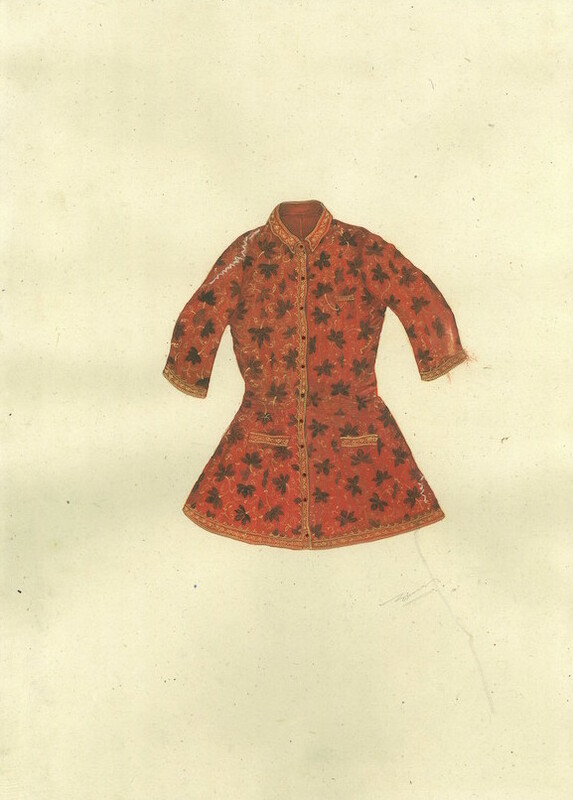 Artistic and cultural traditions such as the miniature seemed at one point to be dying in the face of a confident modernity sweeping the traditional away. Yet these traditions, throughout the world, rise continually from what have been prematurely judged to be their demise. We see this in Australia in great Aboriginal painting and we see this in India. Mr. Sharma adds a particular voice to this revitalised tradition. 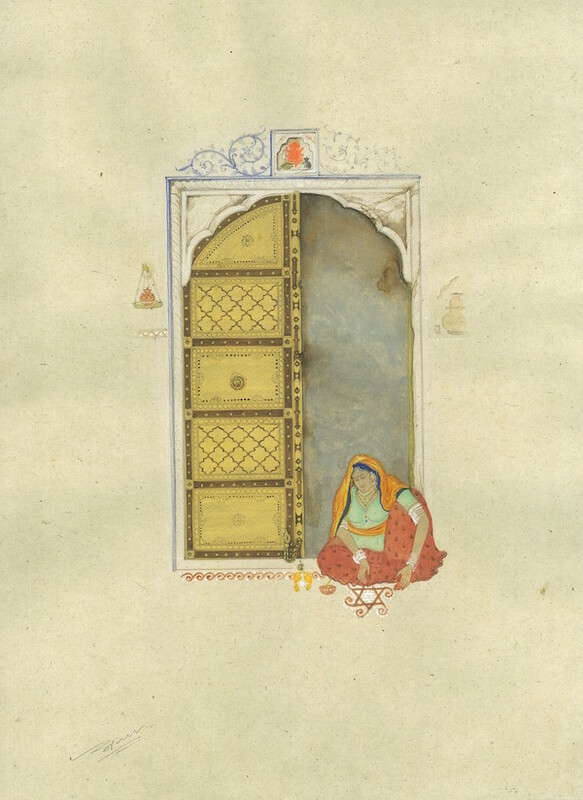 I might, if I may, draw your attention, to what I notice about this work, for each practitioner, within the discipline of the miniature form adds their own vision – Mr. Sharma’s images float on the surface, and, unlike many traditional miniatures, he is unafraid to use white space, which give his images a dream-like quality. This seems suitable to the slightly melancholic nature of Mr. Sharma’s feeling that the pace of change has left behind some traditions that he has spent his life preserving, so while beautiful, these paintings are also laments for a tradition, which is fading as we look. And yet in this very lament there is the sign that the tradition has enormous life and potential. And so Mr. Sharma, in the very act of lamenting the past, revitalises and brings that past into the present and leaves it for the future. Untitled. 2015. 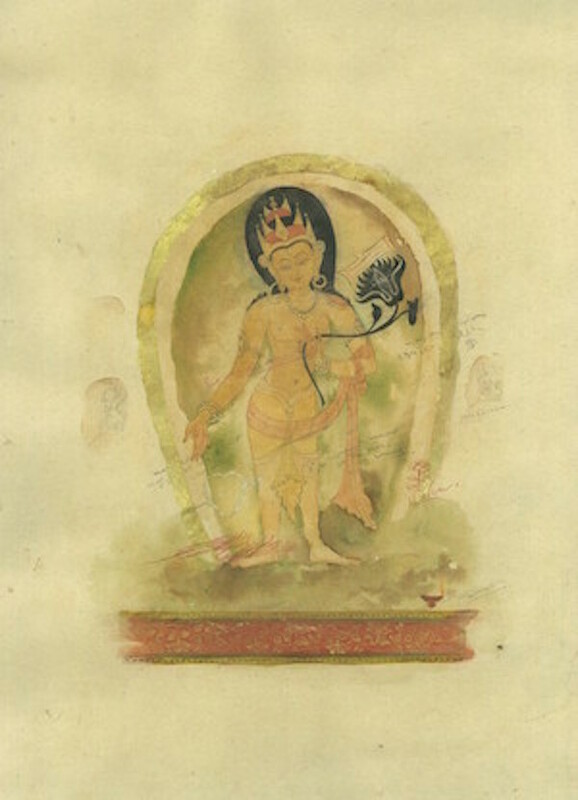 Khariya, stone colour with gold leaf and liquid gold (Hilkari) on Wasli (hand made paper), 30.5 x 40.5cm. Image courtesy of the Artist. Untitled, 2015, khariya, stone colour with gold leaf and liquid gold (Hilkari) on Wasli (hand made paper), 30.5 x 40.5cm. Image courtesy of the artist. Untitled’ 2015, khariya, stone colour with gold leaf and liquid gold (Hilkari) on Wasli (hand made paper), 40.5 x 30.5cm. Image courtesy of the artist. Untitled. 2015, khariya, stone colour with gold leaf and liquid gold (Hilkari) on Wasli (hand made paper), 40.5 x 30.5cm. Image courtesy of the artist. Untitled, 2015, khariya, stone colour with gold leaf and liquid gold (Hilkari) on Wasli (hand made paper), 40.5 x 30.5cm. Image courtesy of the artist. See SquarePeg Studios for information and bookings.